Administrative Law Judge June R. Lehrman, from the Office of Administrative Hearings (OAH), State of California, heard this matter in Manhattan Beach, California, on October 9, 10, 17 and 25, 2012. Ellyn Schneider, Executive Director of Student Services, represented Manhattan Beach Unified School District (District) and attended the hearing on all days. Student’s father (Father) represented Student, and attended the hearing on all days. District filed the request for due process (complaint) on July 11, 2012. District moved to continue the hearing, and the motion was granted for good cause on August 1, 2012. At hearing, the parties requested and were granted a continuance to file written closing arguments by November 8, 2012. Upon receipt of the closing arguments, the record was closed and the matter was submitted. 1. Whether District’s offer of residential placement at Devereaux, a residential treatment center (RTC) located in Texas, constituted a free appropriate public education (FAPE) in the least restrictive environment. 2. Whether District may implement its offer of residential placement at Devereaux without parental consent. 1. Student is a 17-year-old boy who is eligible for special education and related services under the eligibility category of emotional disturbance. 2. In 2000 and 2001 while in second grade, Student attended court-ordered counseling twice per week. His initial assessment for special education and related services occurred in April 2003. Student’s individualized education program (IEP) team found him eligible, and recommended a District special day class (SDC). 3. In December 2004 while in fourth grade, Student was assessed by the Los Angeles County Department of Mental Health (DMH). Student presented with impulsivity, difficulty expressing anger appropriately, poor concentration and disrespectful behavior. Pursuant to an IEP dated January 19, 2005, he was offered outpatient counseling services. 4. During the 2005-2006 school year while in sixth grade, Student was hospitalized after writing down angry thoughts concerning his teacher and a friend he wanted to beat up. At or around that time, in late 2005, Student’s IEP team moved him to a program for students with emotional disturbance operated by Los Angeles County Office of Education (LACOE) at Alan B. Shepard School (Shepard). 5. 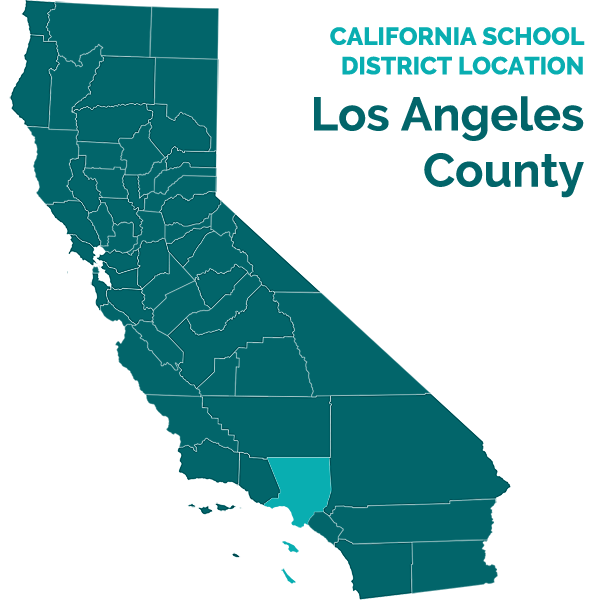 LACOE provides services to Districts, by providing programs for students with moderate to severe or mild to moderate disabilities, either housed in self-contained campuses, or housed within school district sites. 6. At an IEP team meeting on June 28, 2008, while Student was attending eighth grade at Shepard, Student’s IEP team agreed to conduct a functional behavior assessment (FBA) to address target behaviors of disrespectful communication, physical aggression and noncompliance. The FBA report, dated August 1, 2008, noted that although Student demonstrated strengths in reading, and had average cognitive and language skills, he had social and emotional challenges, and had had many office referrals and suspensions due to his target behaviors. 7. In September 2008, Student was re-assessed by DMH. Student, who was 13 years old at the time, presented as being disruptive, defiant, and verbally and physically aggressive. Pursuant to an IEP dated October 28, 2008, he was again offered outpatient counseling services. 8. Student continued matriculating at LACOE placements throughout middle school. 9. While Student attended LACOE programs, LACOE and not District, sent out notices of IEP team meetings, ran those meetings, and developed Student’s educational programming. Lindy Alley, District Program Specialist, was the liaison between District and students who had been placed in LACOE placements. She served in that capacity with respect to Student from approximately 2008 onwards. Ms. Alley did not attend all Student’s IEP meetings. She did not keep closely apprised of his academic progress nor all disciplinary incidents concerning him. She received periodic reports from LACOE concerning Student’s academic and socialemotional status. 10. During 10th grade in the 2009-2010 school year, Student attended LACOE’s program at Torrance High School (Torrance). A disciplinary report dated May 20, 2010 indicates he was suspended for profanity and disruptive activities. 11. Student began the following 2010-2011 school year at Torrance for 11th grade. On or around October 1, 2010, Ms. Alley learned from Torrance that a driver had complained about Student’s aggressive and disrespectful behavior during transportation. Ms. Alley wrote a letter to Father concerning this incident. 12. On October 28, 2010, LACOE convened an annual IEP. The team discussed Student’s present levels of performance. The IEP stated six proposed goals, in the areas of accepting responsibility, social emotional, organization, algebra, and written expression. The IEP offered specialized academic instruction at a LACOE program and four 30 minute individual school-based counseling sessions per month, for the period from October 28, 2010, to October 28, 2011, with modifications and accommodations including modified assignments, assistive technology, extra help with academics, and seating arrangements. It also offered vocational assessment and counseling once per month. The IEP contained an Individual Transition Plan (ITP) that indicated it was based upon an interview with Student in which he expressed a preference for working in the field of music in some capacity. The ITP suggested post-secondary goals to obtain training, education and/ or employment in that field. The IEP also contained a Behavior Support Plan (BSP), related to target behaviors in the areas of defiance, argumentativeness, disrespect and noncompliance. Parent consented to this IEP. 13. On March 10, 2011, LACOE conducted an IEP meeting as an amendment to the October 28, 2010, annual IEP. LACOE administrator Vernon Wright, Lindy Alley, the LACOE school psychologist, and Father attended. The meeting was convened to discuss a suspension. 14. Although not specifically documented as such, the meeting included a manifestation determination. The team determined that the behavior giving rise to the discipline had been a manifestation of Student’s disability. 15. The IEP team determined that Torrance was not an appropriate placement. Student’s placement was changed from Torrance to Malaga Cove, another LACOE program. Malaga Cove was a self-contained LACOE campus devoted to students with a disability category of emotional disturbance who were either returning from residential placements or who were at risk of requiring residential placements. It provided a small structured environment consisting of small classes, usually not exceeding fifteen students. There were school psychologists on site. The teachers were all special education credentialed. There were a maximum of about 50 students in five classrooms on the entire campus. 16. The March 10, 2011, IEP amendment making this change of placement offered specialized academic instruction at Malaga Cove and four 30 minute individual school-based counseling sessions per month. Parent consented to the change of placement. Student was also referred for outpatient mental health services, to which parent also consented. 17. Vernon Wright was the assistant principal and administrator of the Malaga Cove program, and served as a member of Student’s IEP team while he was at Malaga Cove. The IEP team was concerned for Student’s safety during the remainder of 2010-2011 school year. Student received numerous disciplines and suspensions for behavioral incidents, and was often absent. Malaga Cove reported to Ms. Alley that Student was achieving minimal academic progress, attaining grades of Ds and Fs. Ms. Alley learned that Student was a disruptive influence due to bad language, elopements, anger and defiance; had thrown his skateboard through a window; and had failed to take advantage of the school-based counseling that had been offered. Members of the community had also reported to Ms. Alley that they had seen Student skateboarding, acting erratically, and fraternizing with known drug users. 18. From May 9 to May 17, 2011, Student was hospitalized at Del Amo hospital relating to use of the drug Xanax. 19. On May 1, 2011, and May 27, 2011, the Malaga Cove school psychologist referred Student for a mental health assessment by DMH because Student had been exhibiting defiant behavior, and often came to school appearing to be under the influence of drugs. 20. In June 2011, Student received his report card for the fourth quarter of the 2010-2011 school year, receiving Ds and Fs. 21. On June 9, 2011, the IEP team met to discuss Student’s returning to school after the May hospitalization. The team offered summer school including academic instruction and counseling. The team agreed to meet again after the pending DMH assessment had been completed. Student attended summer school, receiving a grade of D.
22. Student returned to Malaga Cove for 12th grade at the beginning of the 2011-2012 school year. 23. In October 2011 DMH conducted a mental health assessment of Student pursuant to the referral that had been made in May. The assessor, Jean Wong, was a psychiatric social worker. She held a master’s degree in social work, and was a Licensed Clinical Social Worker. Ms. Wong testified at hearing, thoughtfully and credibly, attesting to her assessment, her interview process, her views of Student, and her recommendations which she felt were proper at the time. 24. Ms. Wong reviewed Student’s records including his current and prior IEP’s, and prior assessments including the 2004 and 2008 DMH mental health assessments. She interviewed Student, Father, Student’s teacher, the Malaga Cove school psychologist, and Mr. Wright. 25. Ms. Wong asked Student about depression, emotions, thoughts, and suicidal ideation. Student described himself as a “hippie” who did what he wanted to do, including leaving school and riding his skateboard. He denied depression, but stated that the reason he had been hospitalized at Del Amo in May 2011 was because he had attempted suicide by taking an overdose of Xanax. He also told Ms. Wong that he had cut himself over 30 times in an attempt to hurt himself. He refused to discuss these incidents further with Ms. Wong. He stated that he had anxiety and admitted to frequent drug use with marijuana to control it. He also stated that he had flashbacks from prior LSD use. 26. Student’s teacher reported to Ms. Wong that Student missed a lot of school. Although Student and teacher had rapport, Student cursed at others and had a history of eloping. He had only completed about 5 percent of his coursework, consisting of only one assignment. 27. Mr. Wright reported that Student was disrespectful, did not follow directions, and had on one occasion hit at the wall with his skateboard. The school psychologist reported that Student was resistant to school-based counseling, was using drugs and was resistant to authority. 28. Father reported that Student was manipulative. Father’s opinion was that Student was not suicidal but would threaten suicide in order to get his way. Father felt Student’s behaviors were worse at school. Student was social and good at making friends. Father was concerned about Student’s anger and use of obscenities, and also his academics. Father was afraid Student would graduate without any real education. 29. Ms. Wong generated a written assessment report dated October 24, 2011. The report indicated Ms. Wong’s concern about Student’s substance abuse and the self-injurious cutting behavior, the hospitalization for the Xanax abuse, and the lack of academic performance. Outpatient services, which had been recommended in 2004 and 2008, had not been accessed or were ineffective. Ms. Wong felt that more intensive treatment was required for a period of six months, to be followed by a reevaluation. 30. Student’s annual IEP was dated October 27, 2011. Mr. Wright attended, as did the LACOE school psychologist, LACOE special education teacher, Father, and a school nurse. 31. The draft IEP document, prepared in preparation for the meeting, indicated that Student had been administered California Standards Testing, with accommodations, in the areas of English language arts, math, science, history and writing, but it did not indicate the results of this testing. It also indicated that Student had been administered the Woodcock Johnson III Brief Battery and Brief Achievement assessment instruments on October 29, 2009, and it stated the raw scores. It stated present levels of performance in the areas of pre-academic, academic and functional skills, communication development, gross/fine motor development, social emotional/behavioral issues, and vocational interests. It stated seven proposed goals, two in the areas of written expression and one each in the areas of social emotional, algebra, mathematics, organization, and accepting responsibility. According to Mr. Wright, the goals had been updated from the previous year’s IEP by Student’s teacher. The IEP contained an ITP that indicated, as previously, that it was based upon an interview with Student in which he expressed a preference for working in the field of music in some capacity. The ITP again suggested post-secondary goals to obtain training, education and/or employment in that field. The IEP also contained two versions of a BSP. The first was copied verbatim directly from the previous year’s IEP without modification of either content or dates. The second was dated in the future, stating the date May 24, 2012. According to Mr. Wright, the BSP had been updated from the previous year’s IEP by Student’s teacher. 32. The IEP stated a proposed offer of specialized academic instruction at a LACOE program and four 30 minute individual school-based counseling sessions per month, for the period from October 27, 2011 to October 27, 2012, with modifications and accommodations including assignments, assistive technology, extra help with academics, and seating. 33. The Notes of this meeting indicated that Father expected DMH to attend to review the results of their October 2011 assessment. Father also requested that academic testing be performed on Student. The team agreed, and decided to delay the meeting to a future date to invite District and DMH, and to conduct testing. Father was given a copy of the IEP to review the proposed goals and objectives. 34. In November 2011, Student received his report card from Malaga Cove for the first quarter of the 2011-2012 school year, receiving D’s, an F and one C.
35. Student’s IEP team met on November 28, 2011, to review Ms. Wong’s DMH assessment. Ms. Wong, Father, Mr. Wright, the LACOE school psychologist, a DMH residential placement coordinator, and Ms. Alley attended. At that IEP, the team recommended RTC. Pending a suitable RTC placement, in the meantime, it continued the offer of specialized academic instruction at a LACOE program and four 30 minute individual school based counseling sessions per month, made in the October 27, 2011, annual IEP. In addition it offered weekly individual therapy, family therapy and case management services to be provided by DMH. 36. Father signed, indicating consent to the October 27, 2011 annual IEP as amended, and indicating consent to begin a search for a suitable RTC placement. 37. By December 2011, Student had still not been residentially placed and was attending Malaga Cove. 38. An IEP amendment meeting was held on December 16, 2011. Father, Mr. Wright and Ms. Alley attended. At this IEP it was reported that Student had broken a window with a guitar and attempted to dive through the window in order to fight with another student. Father asked about the progress on RTC placement and the team telephoned Devereaux, a RTC located in Texas. Devereaux stated it would have space available for Student in January. The team decided to follow up in January, when the placement became available. 39. Meanwhile, however, Student would be without a placement, because it was reported at that IEP meeting that “the LACOE SDC program at Malaga Cove will be officially exiting from the LA County program as of 12/16/2011.” Thus, as of the date of the meeting, Student was without an educational placement; the prior offer of specialized academic instruction at a LACOE program and four 30-minute school-based individual counseling sessions per month, ended on the day of the IEP, December 16, 2011, which was also the day of the termination of the Malaga Cove LACOE program. On a going forward basis, the only continuing offer was continuing weekly individual therapy, family therapy and case management services to be provided by DMH. 40. After LACOE’s program discontinued as of December 16, 2011, Lindy Alley considered the responsibility for convening IEP meetings to have reverted to District. 41. Student was without any placement or program from December 16, 2011, until February 21, 2012, the date on which he was admitted to Devereaux. No document indicates where he was, or why. At hearing, Ms. Alley, testified that “there were some issues with finding” Student; at some point Student was hospitalized, and the transport team was sent to the hospital to pick him up there and transport him to Texas. 42. Student was admitted to Devereaux on February 21, 2012. 43. Devereaux is an in-patient RTC for adolescents with diagnoses of trauma, mood disorder, drug use or oppositional defiance. 44. Student’s Devereaux case coordinator was Dianna Rosales, whose duties were to communicate between Devereaux, families and school districts. 45. Student’s counselor while he was at Devereaux was clinical therapist and licensed social worker Laura Robinson. Student’s treatment program during the first 30 days at Devereaux consisted of individual weekly counseling sessions, family therapy every other week, a boys’ group, and a chemical dependency group. 46. Devereaux identified phases in its therapeutic program. The first phase was acclimating to the new environment and learning the rules. The second phase was committing to the treatment program. The third phase was meeting treatment goals, and preparing for discharge. 47. While in residential treatment, Student’s DMH case manager was John Donato, a psychiatric social worker. At the time, Mr. Donato’s duties at DMH were to serve as a residential case manager to oversee the treatment of students who had been placed in RTCs. Mr. Donato communicated with the RTC clinical teams, attended IEP’s, and visited students at their RTC placements. 48. Mr. Donato learned about two behavioral incidents during Student’s first week at Devereaux. Mr. Donato discussed the incidents with the Devereaux clinical team, but felt that behavioral incidents were common during the initial adjustment period. 49. Mr. Donato visited Student at Devereaux on March 7, 2012, and March 21, 2012. 50. Ms. Alley scheduled and sent notice for an IEP team meeting to review the Devereaux placement. The IEP team met on March 21, 2012. The meeting was an amendment to the October 27, 2011, annual IEP. Certain attendees attended in Texas and others at District offices in Manhattan Beach, via teleconference. Father and Lindy Alley attended from Manhattan Beach. Student, Mr. Donato, Devereaux Principal Lynn Luther, Devereaux teacher Erica Mares, and therapist Laura Robinson attended from Texas. 51. Student stated that the adjustment was rough but he was focusing on work. He did not feel he needed to be in RTC. He just felt he needed a drug rehabilitation program. He missed home and his girlfriend, and was having trouble sleeping. 52. Devereaux teacher Erica Mares reported on Student’s present levels of academic performance. Student was taking English, algebra, physical science, world history, physical education and career technology. He was in the process of being assessed for academics to determine placement. He was still adjusting to Devereaux but was starting to do classwork, was eager to get credits for graduation and was motivated. 53. Therapist Laura Robinson reported that Student was engaging well in individual and group therapy and was soon to undergo chemical dependency group therapy. Socially, it was reported that Student had positive peer interactions. 54. Mr. Donato recommended a continuation of the RTC placement. Mr. Donato found that Student was in the early stages of treatment and although focused on being discharged, it was too early to make such recommendation. Mr. Donato recommended continuing RTC with individual, group and family therapy, medication support and case management services. Mr. Donato recommended treatment goals to address social interactions, family relationships and issues, communication skills, substance abuse, aggression, depressive symptoms, oppositional defiance, impulse control, independence and discharge planning. 55. The team at that meeting agreed that Devereaux was the appropriate placement for Student. The team offered RTC, with individual, group and family therapy, and six hours per day specialized academic instruction in a special day class. Except as so modified, the annual IEP was not altered. Parent consented to the IEP amendment. 56. Devereaux generated an Individual Service Plan (ISP) on or around March 22, 2012, the day following the IEP. Ms. Robinson generated the therapeutic component of the ISP, based upon her work in therapy with Student during his first 30 days, and review of documents she was provided upon Student’s admission, including IEP’s, school history, and medical diagnoses. She also assessed Student using a Devereaux-generated assessment tool called the “Admission Assessment Addendum,” which consisted of a checklist with questions concerning family history, substance abuse and peer group issues. Student’s answers enabled Ms. Robinson to generate the following therapeutic clinical treatment goals: to follow rules and regulations, to reduce mood intensity, to decrease physical aggression, to develop healthy coping skills rather than self-harm, and sobriety. Ms. Robinson worked on these goals with Student while he was at Devereaux. The goals were appropriate and Student was making progress on them, but had not yet met them by the time of discharge. 57. While Student was at Devereaux, Father heard information that gave him concerns, and on about five or six occasions notified Ms. Alley of these concerns. On March 5, 2012, Father spoke to Student by telephone. Student reported that he was feeling good, and was working out and doing well. However the next day, March 6, 2012, Student reported to Father that he had been lying the previous day because Devereaux staff made him say what he had said. This made Father concerned about Student’s well-being. 58. On another occasion, a family friend who lived in Texas visited Student at Devereaux. He reported to Father that Devereaux staff had told him they “did not think Student was going to make it.” This increased Father’s concern about Student’s well-being. 59. When District contracts with RTCs, District ensures that the RTC has an internal procedure to handle complaints. Ms. Alley’s policy, when receiving a complaint from a family about a RTC, was to simply forward the complaint to the RTC. District did not thereafter do any follow-up, nor undertake any independent investigation. When Father expressed concerns about Student’s well-being at Devereaux, Ms. Alley simply forwarded Father’s concerns to Devereaux staff. 61. In April, 2012, Student’s girlfriend received a threatening handwritten letter from an anonymous writer, indicating an intention to harm Student. Father forwarded the letter to Lindy Alley. Ms. Alley was concerned enough about the letter to call Devereaux’s night supervisor. She read the letter to him over the telephone. They agreed he would investigate. The night supervisor called Ms. Alley the next day and advised her that Devereaux had investigated a couple of students they had concerns about, had checked their handwriting, and had determined the handwriting was Student’s himself. Ms. Alley did no follow-up, and undertook no independent investigation. At hearing, the night supervisor was not called as a witness; Ms. Rosales confirmed that she had seen the supervisor comparing the letter to the handwriting of one other student. To her recollection, it was assumed, but not definitively determined, that the writing was Student’s, but she was unaware of any further details of the supervisor’s investigation. 62. Both Ms. Rosales and Ms. Robinson confirmed that Devereaux students are often lonely, have difficulty adjusting, want to go home, and may try to manipulate adults to achieve that. 63. Father discharged Student from Devereaux on June 3, 2012. It was reported to Lindy Alley that, during an on-site family visit from Father, Father announced Student was not returning, and that Devereaux had requested Father to sign a document indicating that the discharge was against medical advice. 64. Devereaux staff, Mr. Donato, and District did not agree with Father’s decision. In their opinion, Student had started to make progress at Devereaux and the discharge was premature. In their experience, students adapt to the program slowly. 65. After returning home, Father asked Ms. Alley where Student could attend school. District replied that its offer of FAPE remained Devereaux. 1. District contends that Student required residential treatment, and that its offer of Devereaux constituted a FAPE in the least restrictive environment. District seeks an order allowing it to implement its offer of residential placement at Devereaux without parental consent. 1 Father further contends that LACOE’s programs had passed Student along from grade to grade without educating him or helping him to meet any IEP goals; that Student’s placements at LACOE programs had been inappropriate due to distance from home; and that Father would have preferred Student to attend his home public school near his residence for high school, rather than Torrance or Malaga Cove. These contentions all relate to alleged denials of FAPE in the past at LACOE’s programs. Since Father never filed a Student-initiated due process proceeding to raise these contentions, and since District filed this case to defend its October 27, 2011, IEP as subsequently amended, Father’s contentions are not at issue in this due process proceeding. 2 All subsequent references to the Code of Federal Regulations are to the 2006 edition, unless otherwise stated. 4 The brief gap in placement from the December 16, 2011, IEP, after LACOE’s Malaga Cove program was discontinued, until Student was admitted to Devereaux in February, did not deprive Student of a FAPE. Devereaux was available starting in January; and Student’s transfer there was delayed until February by virtue of his own unavailability. 1. District’s offer of placement at Devereaux contained in the October 27, 2011, annual IEP, as amended on November 28, 2011, December 16, 2011, and March 21, 2012, offered Student a free appropriate public education in the least restrictive environment. 2. District may implement the October 27, 2011 IEP, as amended, without parental consent, unless and until Parent, in writing, relieves District of its obligations to provide special education and related services.